... then she might act something like this. People who are invisible can be such teases (or so I hear). 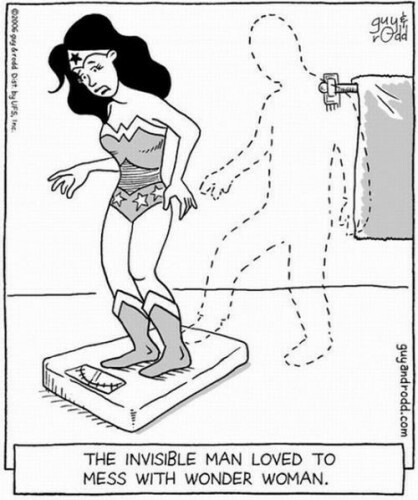 Here is an example of Invisible Man messing with Wonder Woman. Here is another six picture meme that I just had to share -- this time about cats. The six categories are: "This is what society thinks I do," "This is what my human thinks I do", "This is what my human's friends think I do" "This is what the dog thinks I do", "This is what I think I do", and "This is what I really do". Amazingly, all but one of them involve sleeping. I just wanted to write and let my readers know that I've tried the new Quaker Soft Baked Bars.Before I get too long winded, let me just start out by stating my conclusion and then backtracking to justify it. The bars are very good and a cut above most cereal bars. Here is my analysis. Nutrition: The bars are pretty good as far as their nutrition and a wholesome food goes. First off, they only have 140 calories per bar, which is much better than a candy bar or even a lot of other cereal bars I've seen out there. Also, they have a whopping 5 grams of fiber per bar. For those of you who aren't as much of a fiber junky as I am, that's a huge number. For the average person, that's about 21% of their daiy requirement of fiber (which is probably about 20% more than many people get in a day ...). Not only is fiber good for your digestive health, but it also helps fill you up so that you eat less. So, the amount of fiber in the bar is a huge plus for me. Here is a picture of me enjoying a delicious bar. 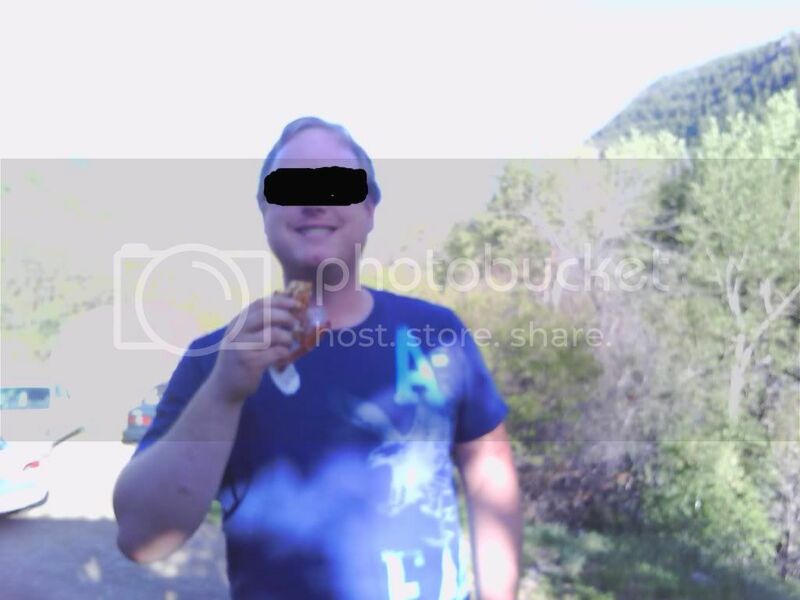 (I hope that my readers don't mind my blacked face. I am a very private person). Taste: The taste of the bars is quite good. Both of the types of bars (Banana Nut Bread and Cinnamon Pecan Bread) have a good flavor that is both sweet but not overstated. I think that, out of the two kinds, my favorite is the Cinnamon bar. I found the cinnamon to provide a nice after taste without overpowering the sweetness of the sugar in the bar. My sister claims that the cinnamon is overpowered and likes the Banana bar for that reason, but I disagree. So, those are my thoughts on the two areas of primary concern: nutrition and taste. I have shared the bars with my family, and they agree that they're an excellent product. I think that, once the bars come on the market in stores close to me, I will probably buy a box to take to work with me so that I can eat them if I don't have time for breakfast as a breakfast snack. 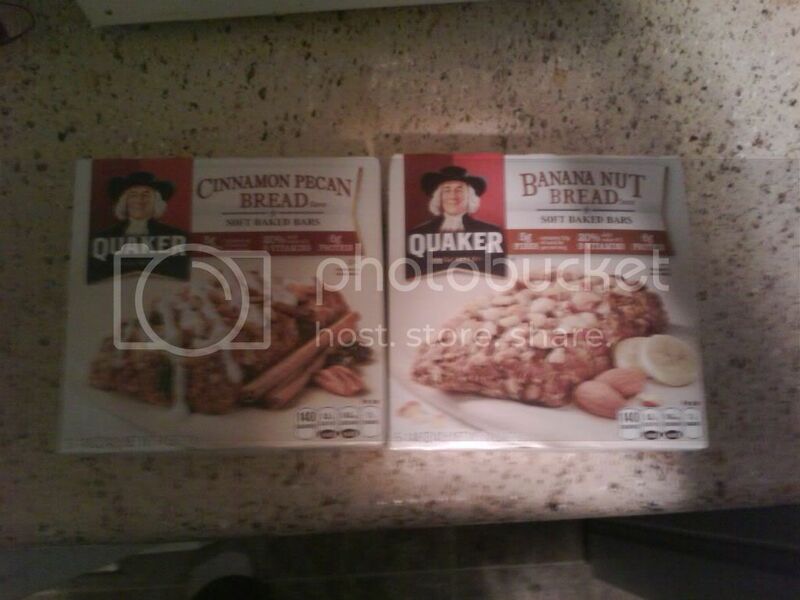 Here is a photo of the boxes that Quaker sent me to review. And, here's the product -- delicious, no? You should check out the Quaker Soft Baked Bar and try one for yourself today! It's a fat Indian kid ... that likes to dance. What more can I say? This is a Sponsored post written by me on behalf of LOGASTER for SocialSpark. All opinions are 100% mine. Have you ever wanted to create a logo for your business, but felt that it was too expensive? I recently became aware of a company called LOGASTER that can help you create your own logo for an extremely competitive price. LOGASTER is a professional online logo maker and generator. It is easy to master for both beginning and advanced users. It lets users create logos in a matter of seconds and does not require you to pay until you are 100% satisfied. LOGASTER will also create unlimited logo designs until you are 100% satisfied with the final product. The logos themselves can be used for both corporations or to brand products. Countless designs can be created for business cards, envelopes and more. Whatever you need LOGASTER is there to help you reach your business logo needs. Logos and layouts are provided in both bit-mat and vector formats. Logo designs are developed using web 2.0 technology. LOGASTER creates highly professional logos that will give your business the look that you want and need to adequately represent and grow your business. Finding a company that will take the time to work with you and make sure that you are completely satisfied means a great deal in a world full of companies that lack caring and customer service. LOGASTER is just the company to create your professional design. A company that will work with you in a caring and professional manner. LOGASTER wants to make sure that you are happy and completely satisfied with the logo you use to represent your business. Here is another of those fascinating six picture memes from the internet, this time about girlfriends.The six captions are: "How my parents see her", "How my friends see her", "How she sees herself", "How society sees her", "How I see her", and"What she actually looks like". I like "How I see her" the best, for obvious reasons. Sometimes, cats and dogs don't get along. Sometimes, it's love at first site. In this case, it's puppy love, pun intended. Puppy + Cat in Love!!! Have you ever looked at gang signs and wondered what they mean? Well, neither have I. Regardless, here is a picture that serves as a guide to gang signs. Enjoy.